Cleaner coats in less time. The redesigned Prima Encore brings you all the advantages of the Prima Bathing System in a smaller, faster and easier to use model. You’ll enjoy the savings of time and money, while your animals will love the air-injected, low-volume, high pressure shampoo applicator’s scrubbing action, massaging deep into the coat. It raises the bar on operational efficiency and is the most environmentally friendly system on the market. 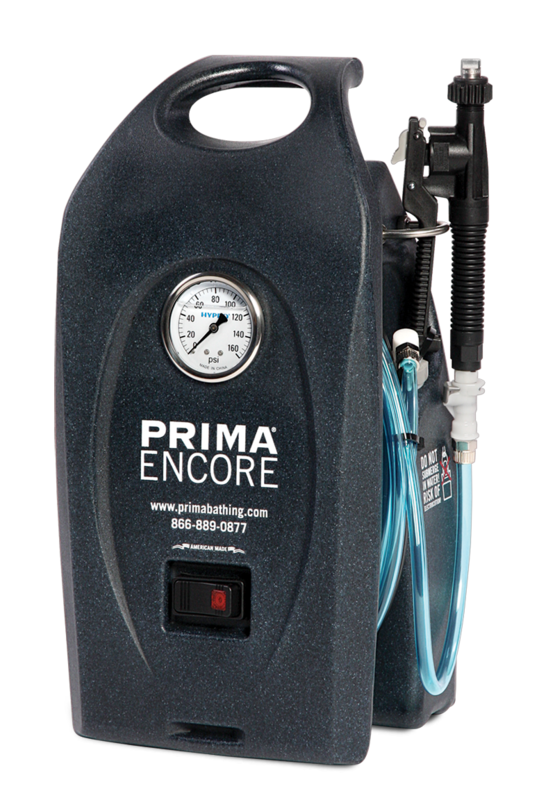 The Prima Encore delivers a whole new level of clean your customers will notice. It’s good for pets, good for the environment and great for business.